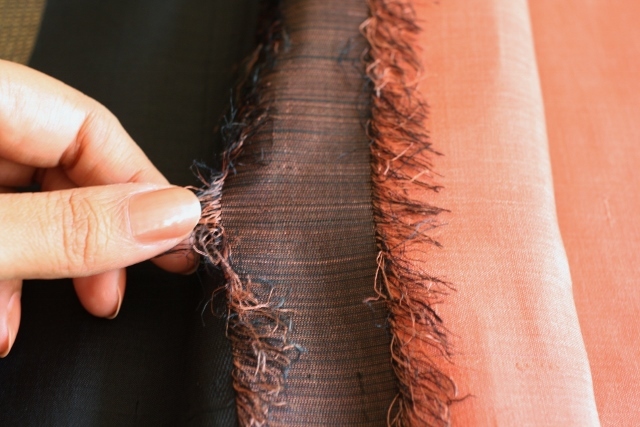 Should every post begin with a bang? 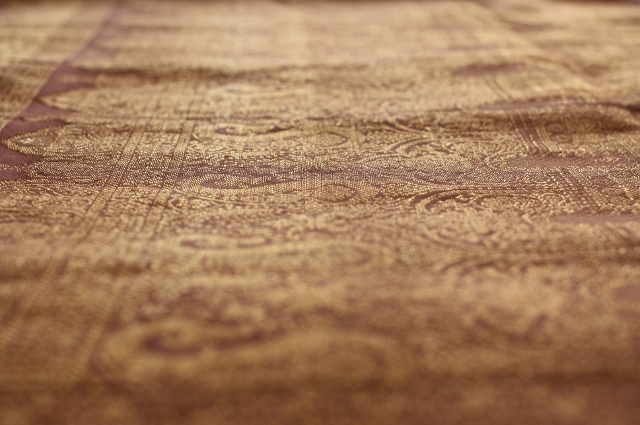 A catchy, hooky beginning that ‘captures’ the readers’ interest? 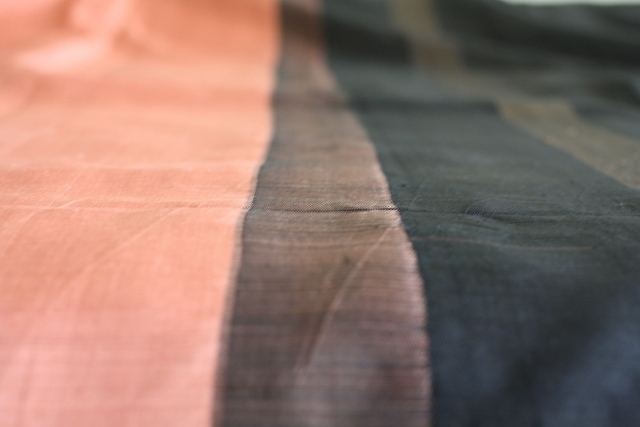 Well, yes I guess, but then I also think not. 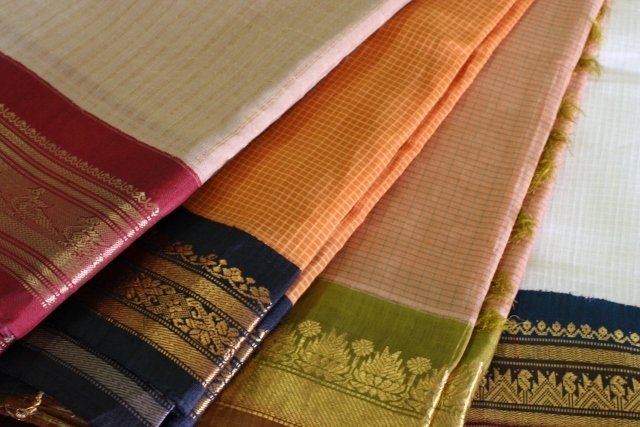 Not when you are about to write on a subject which needs nothing more than a gentle nudge to get us all going – sarees. 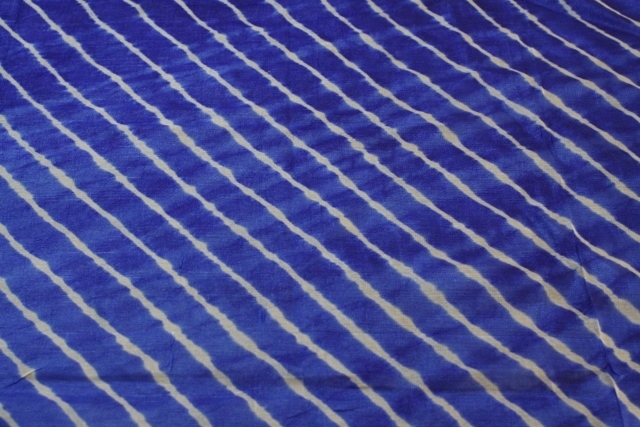 The auspicious days and nights of fervor, feasting, fasting and devotion are here and I am feeling blessed to bring you G for Garad. 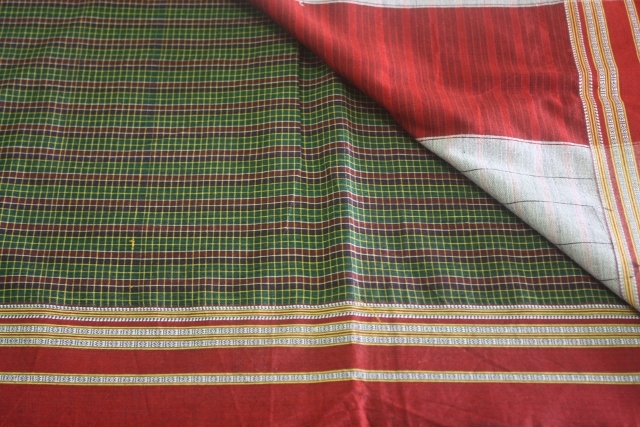 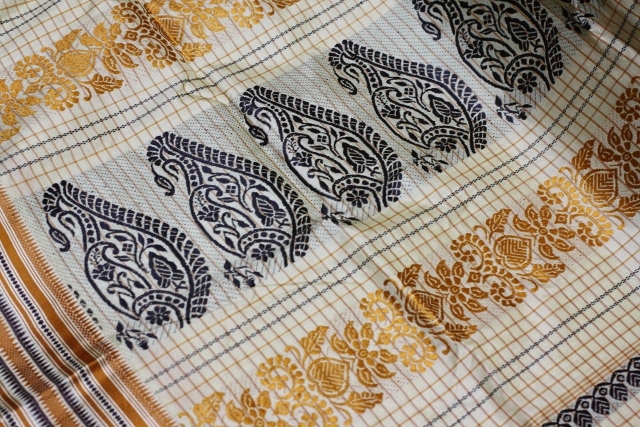 The Garad is a traditional Bengali silk saree worn specially for puja. 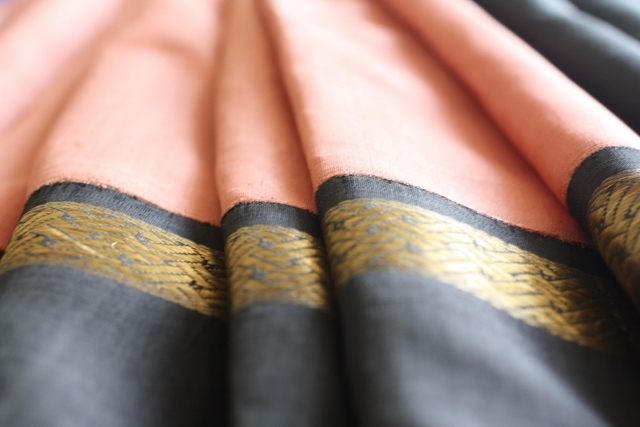 Like the Goddess, this saree symbolizes the pure and the strong. 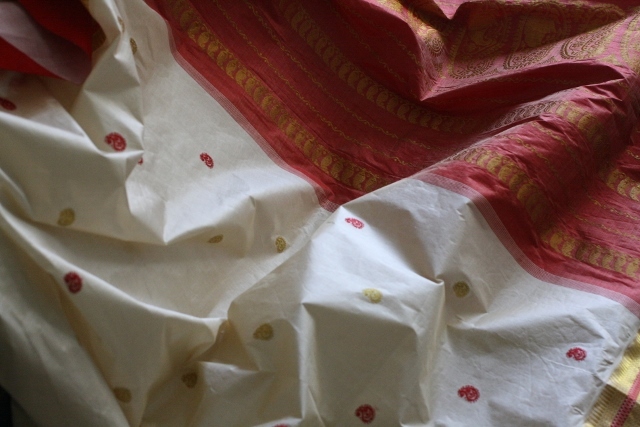 Pure, with its undyed, natural silk base and strong with its bold vermillion red border and pallu. 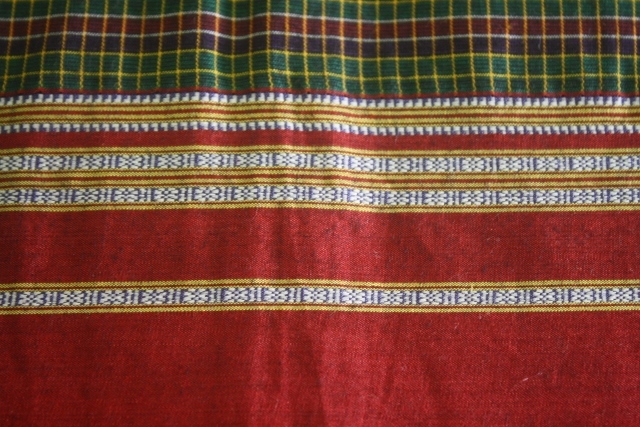 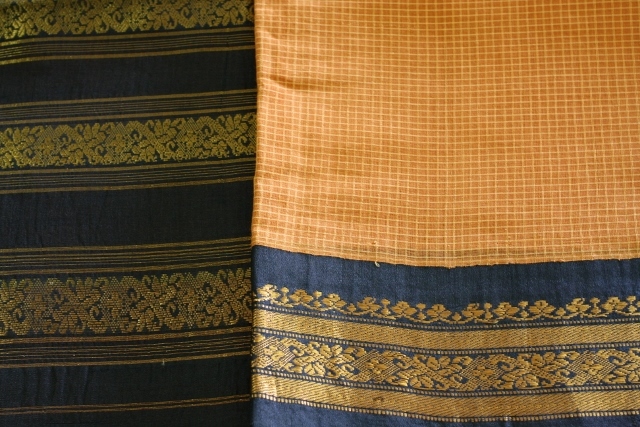 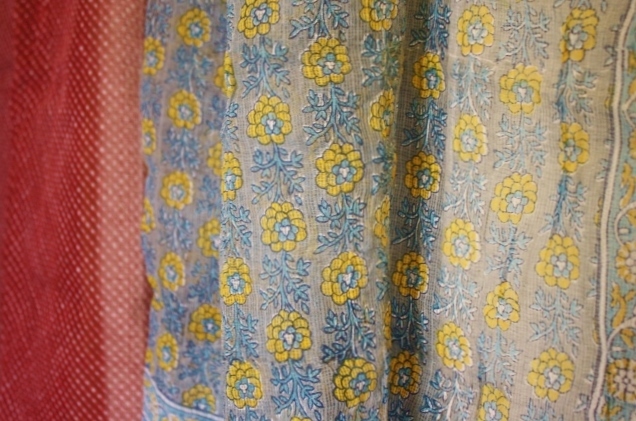 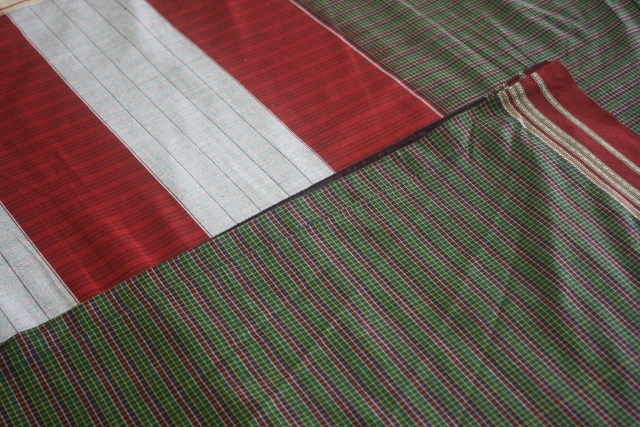 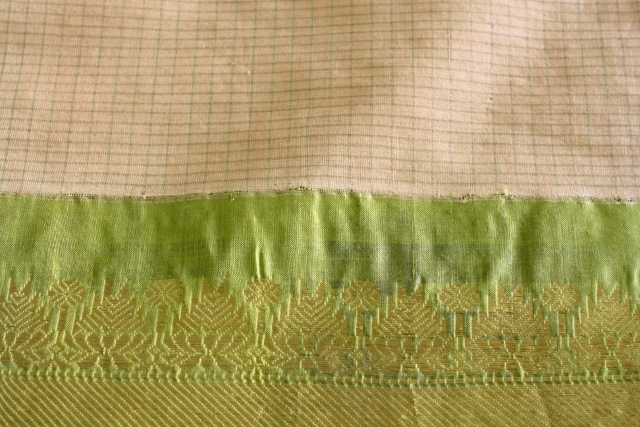 The border and the pallu have intricately woven gold or coloured motifs. 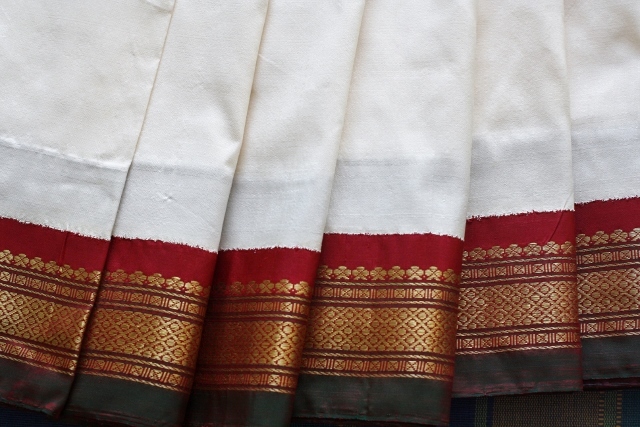 Garad means pure and white. 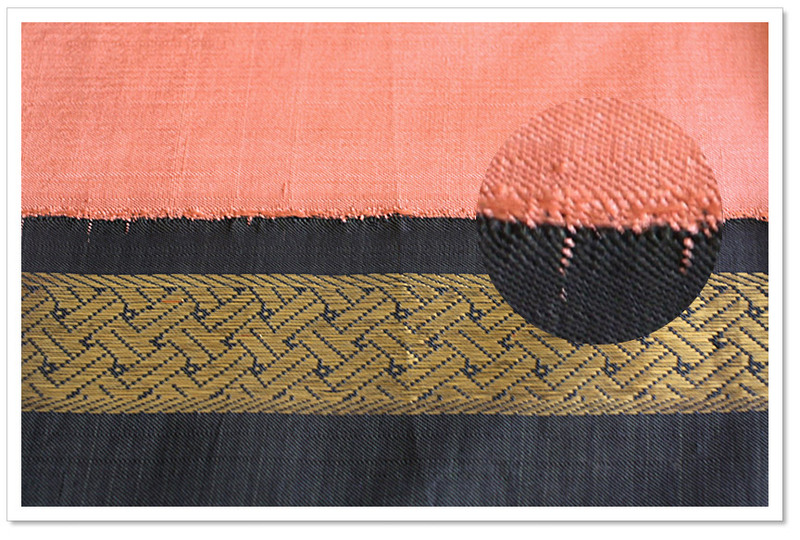 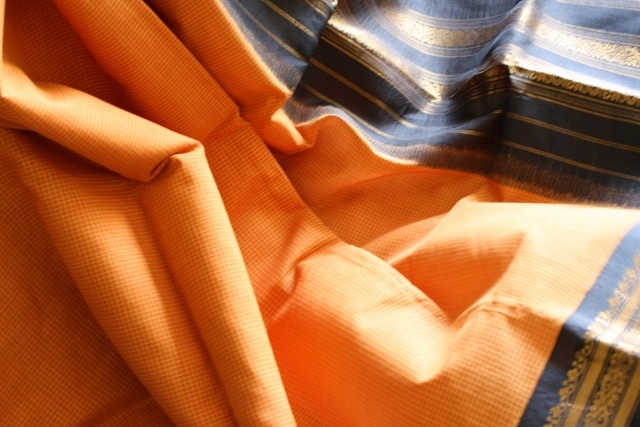 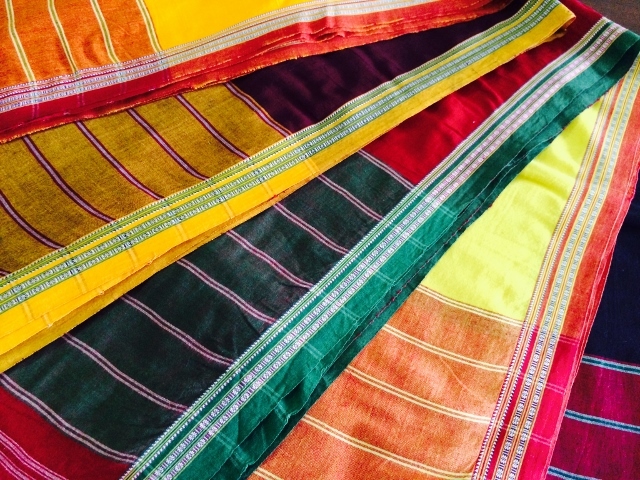 In the context of the saree, Garad refers to the silk, which is considered to be pure. 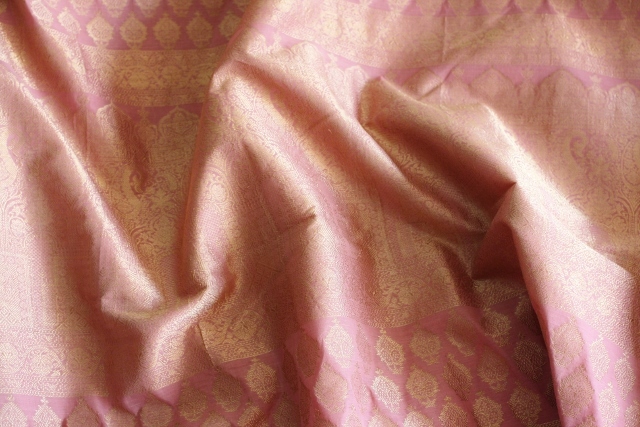 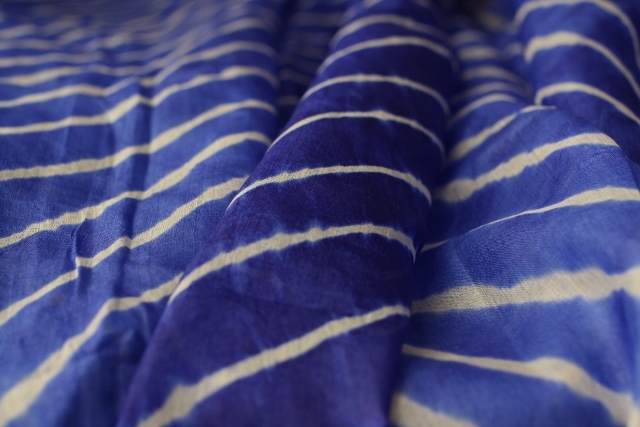 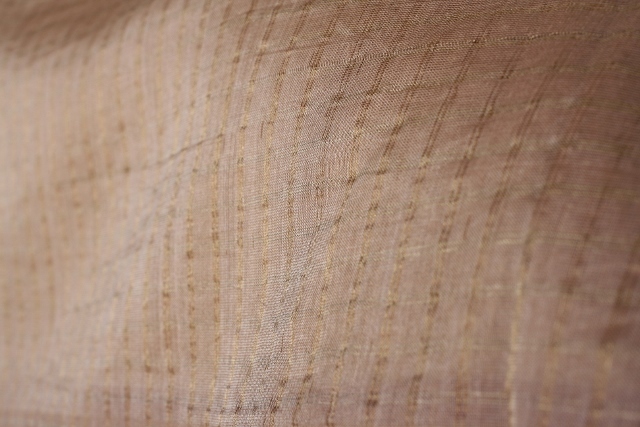 To retain the purity of the silk it is not dyed and used in its natural form. 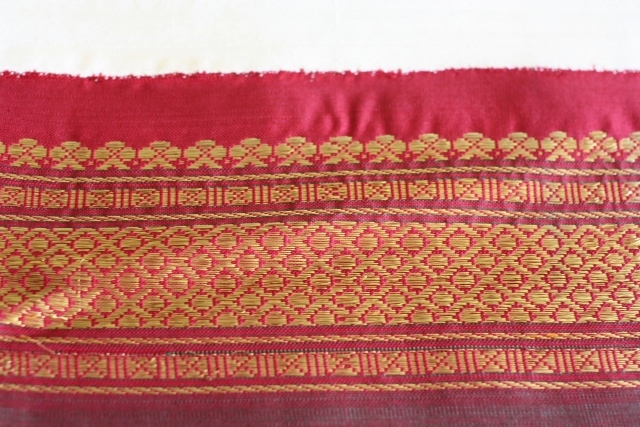 The silk used in the Garad is of very high quality – usually a tussar or mulberry – which makes this saree exquisite, but expensive. 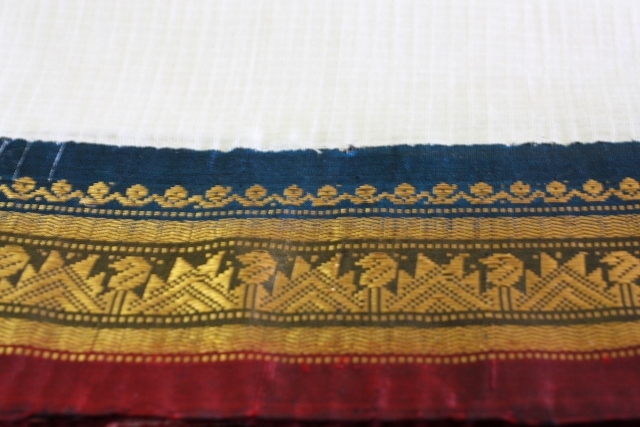 And since puja times are also festive times, Garad saree comes with a generous embellishment of gold in the border and the pallu. 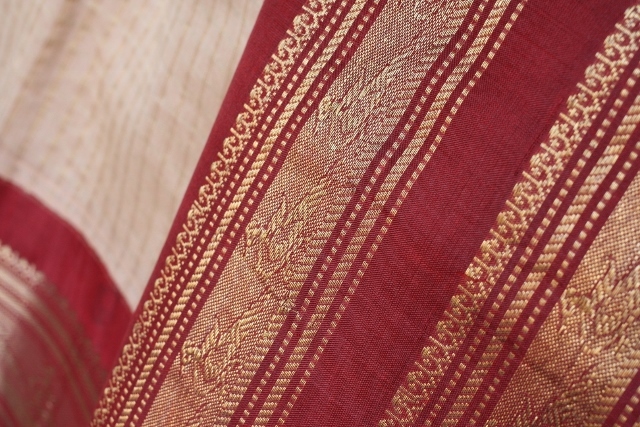 The white, red and gold – symbolic as they are in the saree – are accompanied by another important symbol in the Garad. 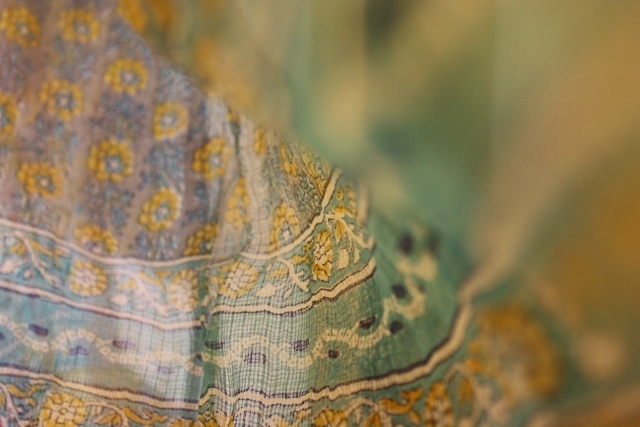 Look out for the timeless and classic paisley motif in the Garad. 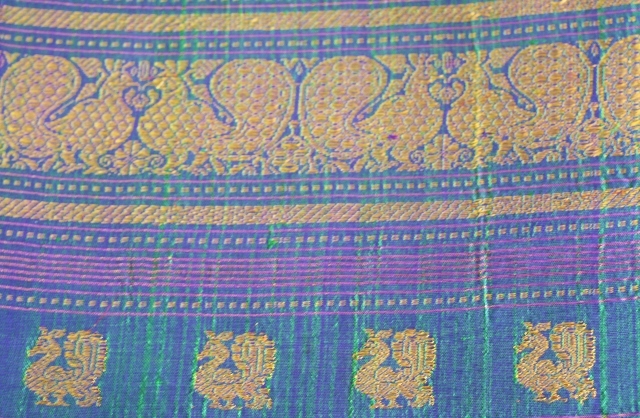 The paisley motif almost always appears woven in gold on the pallu but sometimes this motif is also found on the entire saree. 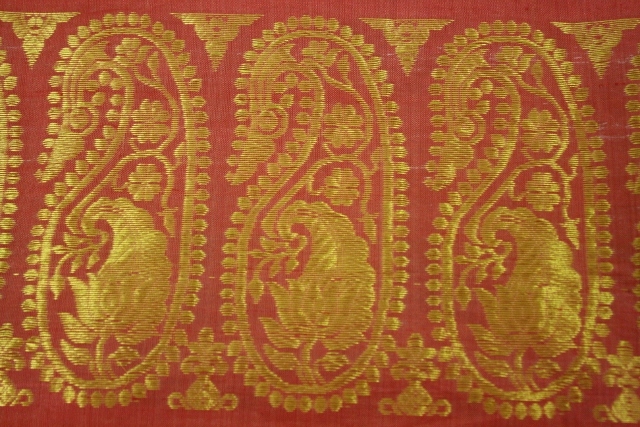 In the Indian culture, this ancient Persian motif is adapted as the keri or mango. 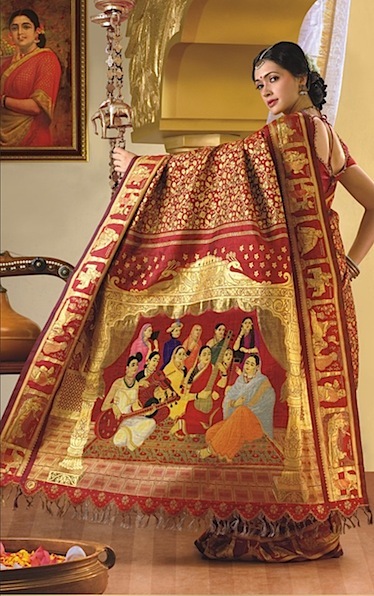 It symbolizes fertility in the context of Indian culture. 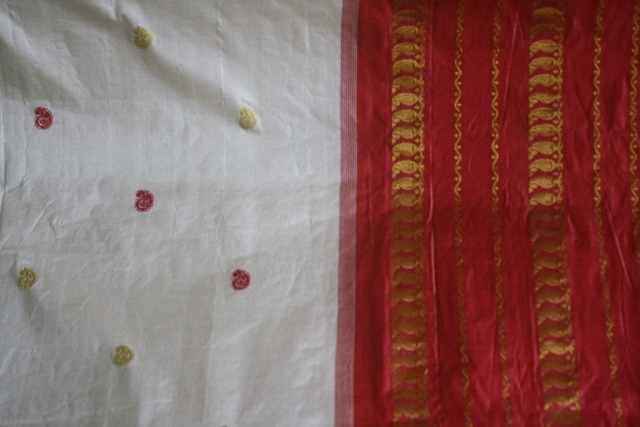 Although the Garad is a classic red-white puja saree but you may also find it newer combinations. 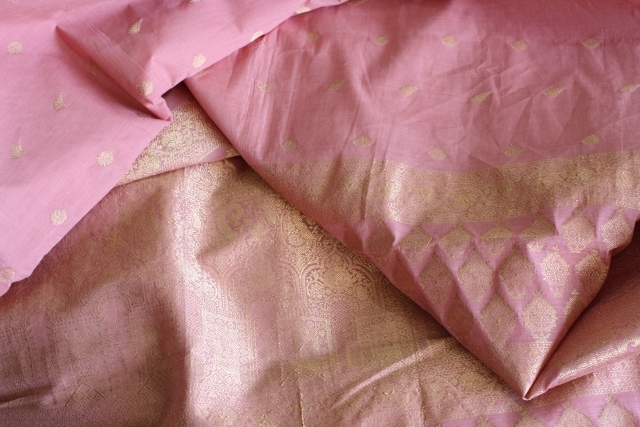 The cream silk is however irreplaceable in a Garad. 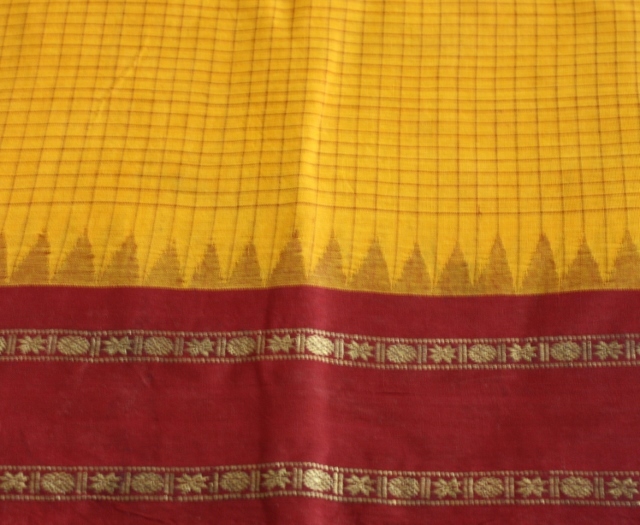 Very close to the Garad is the Korial saree. 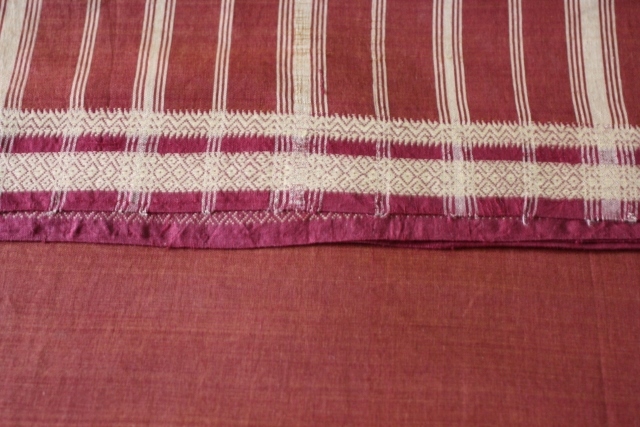 Slightly plainer than the Garad, Korial is also worn for puja and other auspicious occasions. 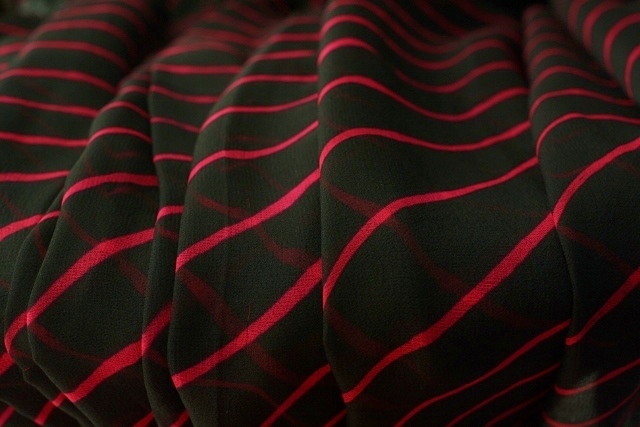 You are more likely to find a Korial in colours other than cream and red. 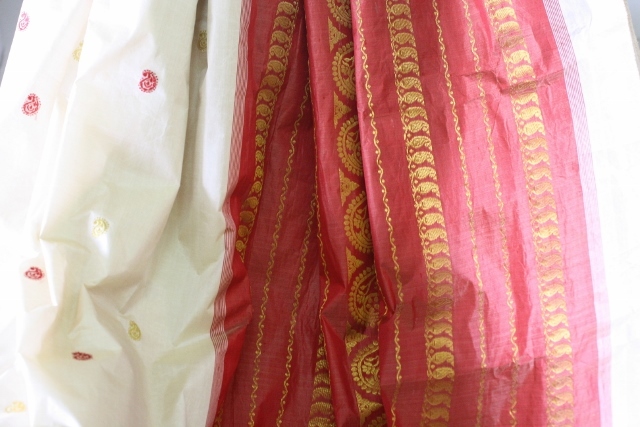 A Garad saree, traditional but simple gold jewelry, a large red bindi, hair tied in a low bun at the nape of the neck…sigh! 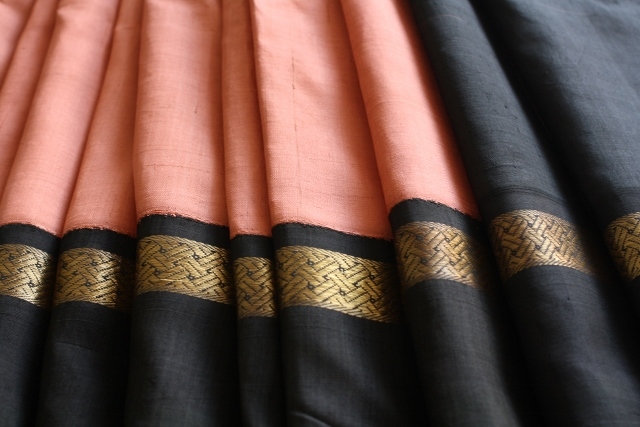 I cannot wait to own and wear a Garad. 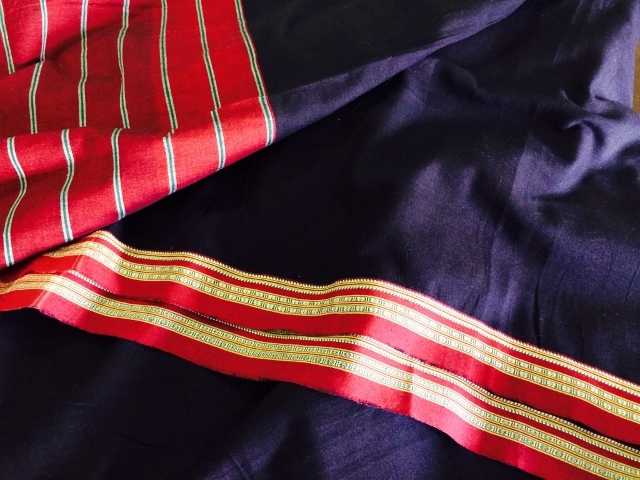 If you have read this post all the way here, I am sure you cannot wait to own one too. 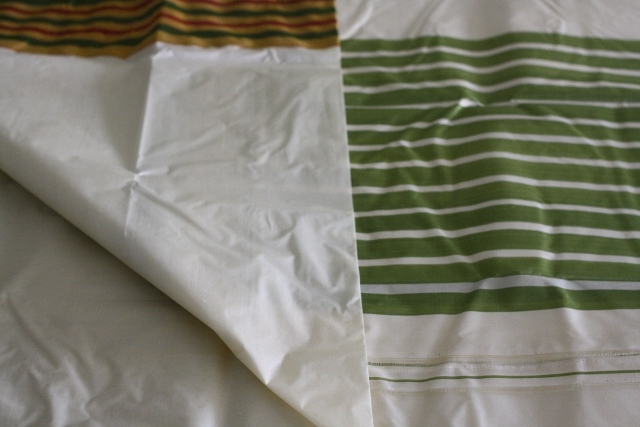 And if you actually do end up buying one, please send up pictures. 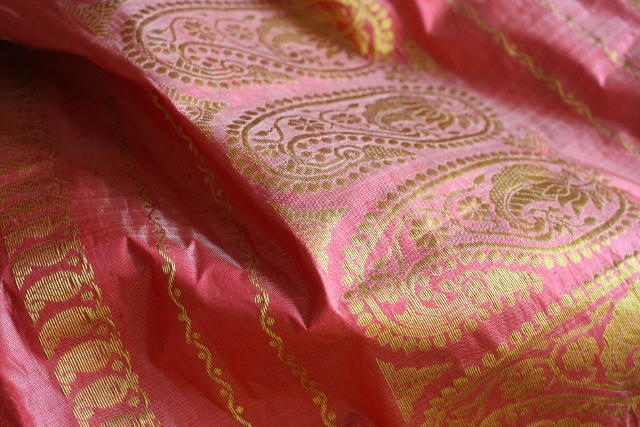 Thanking my friends who graciously allowed me to photograph sarees from their personal collection. 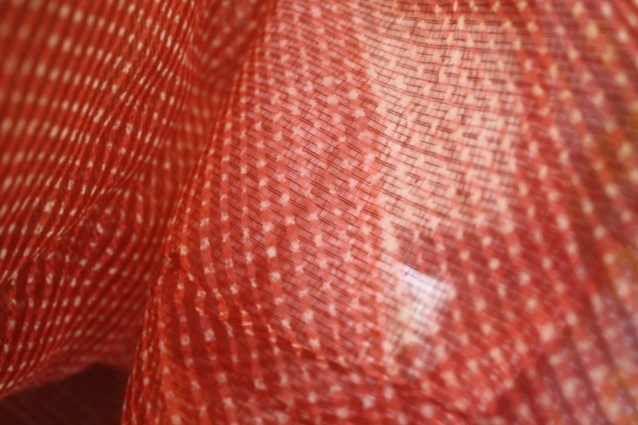 These photographs are protected by copyright laws and may not be used in any form, digital or print, by any entity.